Wheeler Genealogy is a blog about the Wheeler and McGinty ancestors and families. We will look at the history of the lines and where the families come from. 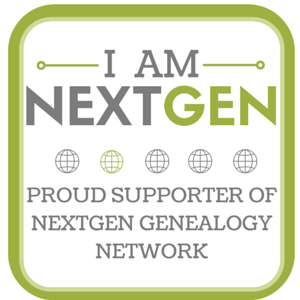 My name is William M(cGinty) Wheeler and I have been doing genealogy for over 20 years. I am currently active in the SAR (Sons of the American Revolution), MCIGS (McHenry County Illinois Genealogy Society) and the BOMC (Baronial Order of the Magna Carta). Most of my ancestry in focused n New England, Pennsylvania and the Midwest. My great grandmother was a Wheeler who married a Brown. Her name was Sarah. She had a brother Charles and I believe two half s I blings. One I believe was Hazel. She was a Tisor and I spoke to her daughter Violet McKillip from Muscatine, Iowa about rwo years ago. My Uncle Jerry Brown has done extensive research on the Brown Geneology. All of my great grandmother’s children are now deceased. Her last child passed away last night. She was my Great Aunt and a 1st cousin to Charles Wheeler’s only child Helen Wheeler Sellers. Helen’s age is 75. She has been looking for living Wheeler relatives. I came across your information looking for Wheeler family geneology. Charles Wheeler lived in the Toolsboro, Iowa area. We grew up in Oakville, Iowa.